As part of the OHL Talk Today program, CMHA-WECB will be featured at the game on February 7. 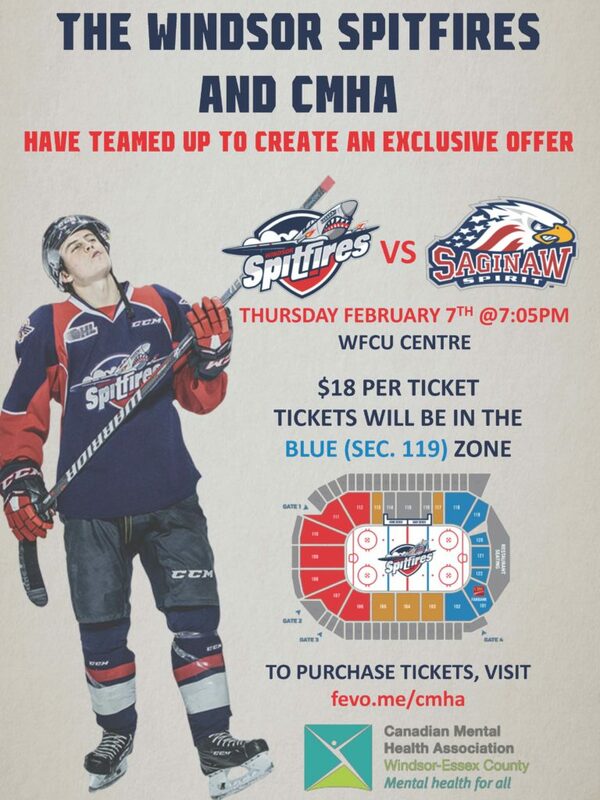 The Spitfires and CMHA have teamed up for an exclusive offer for this game. Tickets are available for $18. To purchase click here.